Rosewa ter is a first contact story, an alien encounter story, but it takes a while to get there, a story about humans with mutant-style powers, at times a zombie story. Tade Thompson takes his time, delivering a multi-dimensional mosaic that reveals as much as it hides. But he makes the journey worthwhile and the pay-off sticks hard. Kaaro lives in the town of Rosewater, a donut shaped metropolis, only a few years from being a shanty town, that has grown up surrounding a giant alien dome. Rosewater sits in the middle of Nigeria, a few hours drive from the capital Lagos. The dome was not the first arrival of aliens, but appears to be the most permanent. The first contact occurred back in 2012 in London and brought with it a seeding of the atmosphere with a fungus that has led to a range of powers in certain individuals. Since that time America has “gone dark” – nothing and nobody comes in or out and no one knows is this is because aliens have taken over or whether America has quarantined itself against invasion or infection. No one goes in or out of the dome but once a year the dome opens and those bathed in its light are healed or, if dead, brought back to some form of zombie-like half life. What we at S45 call the xenosphere, the psychic link that you are able to exploit, is made up of stands of alien fungi-like filaments and neurotransmitters… It is everywhere, in every environment on Earth… Everybody linked to this network of xenoforms, this xenosphere, is uploading information constantly, passively, without knowing. These is a global store of information in the very atmosphere, a worldmind that only people like you can access. But there are dangers in the xenosphere. Powerful beings stalk this mental world with the ability to manipulate its environment. But now humans who have this particular ability are dying. Due to his ability to read other people’s thoughts and find what is lost, Kaaro has been drafted into the security services. Many of the flashbacks and interludes in the book are tales of his exploits in the past, infiltrating gangs and running interrogations. They also detail Kaaro’s interaction with other people with powers, in particular a power to see into a realm that allows them to pick from a series of future alternatives. In the present, Kaaro is desperately trying to find out why others like him are dying before he too becomes a victim. The idea of a singular hero and a manifest destiny just makes us lazy. There is no destiny. There is choice, there is action, and any other narrative perpetuates a myth that someone else out there will fix our problems with a magic sword and a blessing from the gods. 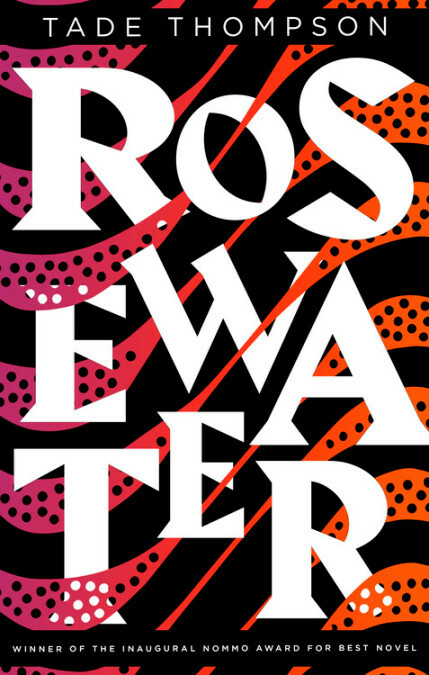 Rosewater is the first of a projected trilogy and won the inaugural Nommo Award for best novel, Africa’s award for speculative fiction. Given the way this first book wraps up it is exciting to contemplate where this series might go next.